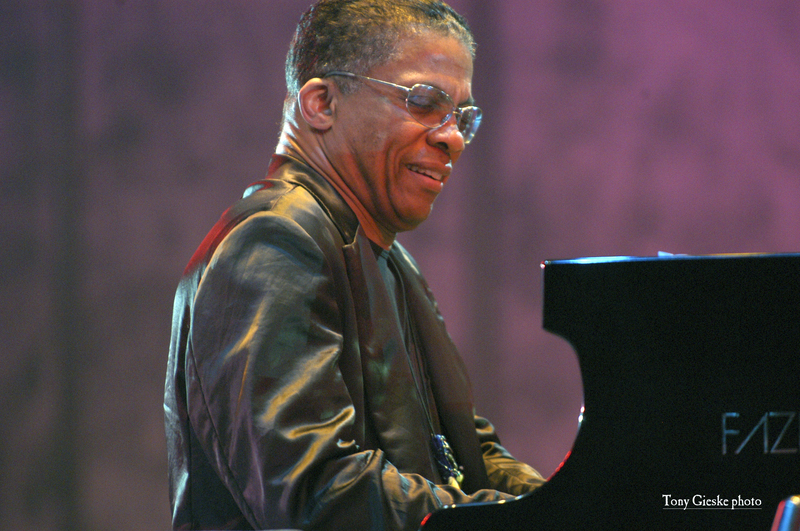 Jazz musician Herbie Hancock has been named the 2014 Norton Professor of Poetry by Harvard. He'll be delivering six lectures, not on poetry per se but telling stories from his personal history, including the interplay between creativity and Buddhism. He talked about his introduction to Buddhism (he practices Nichiren chanting, as does Tina Turner) in a 2007 interview. The cool thing is that jazz is really a wonderful example of the great characteristics of Buddhism and great characteristics of the human spirit. Because in jazz we share, we listen to each other, we respect each other, we are creating in the moment. At our best we’re non-judgmental. If we let judgment get in the way of improvising, it always screws us up. So we take whatever happens and try to make it work. We try to make it fit. We try to enhance it. Submitted by Ash Faith on Tue, 1/14/2014, 11:29pm.